Celebrate the beauty of America's Most Diverse City with the Sacramento Flyer. The flyer features a stunning night scene of the Tower Bridge with the city skyline in the background. 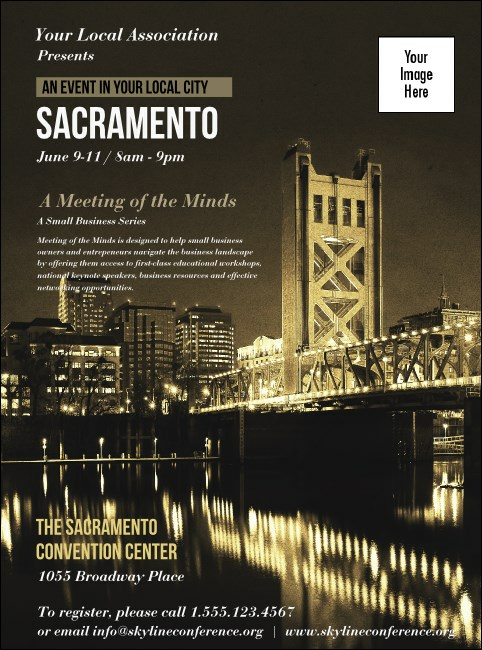 With plenty of room for your event information and a unique image upload, the Sacramento Flyer complements any Sac-Town event.